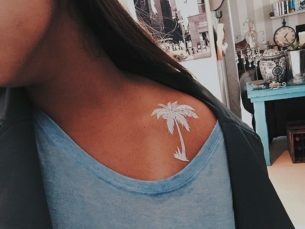 Exquisite and barely seen on a surface of the skin white tattoos are getting popular not only among new fashionable trends lovers but also among people who prefer traditional tattoo art of conventional styles and techniques. So, this is a great opportunity to show yourself, your original way of thinking without unnecessary vulgarity. The evolution of different styles and techniques of the body art develops really fast, this concerns color schemes of drawings too. Originally artists used only blue shades of ink. 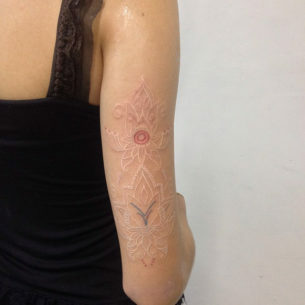 Then, the black one appeared and finally tattoos became colorful as we know them nowadays. 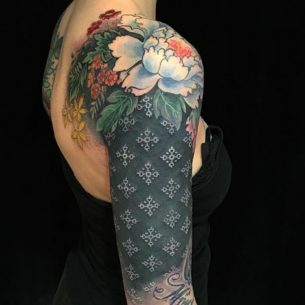 The final stage of modern ink manufacture development became the production of white ink, which gave tattoo lovers all over the world a great possibility to make white tattoos – one of the most extraordinary and unique types of the tattoo art. The meaning of these ideas, as always, depends on the drawing, the same way as in traditional cases. It is interesting to know. 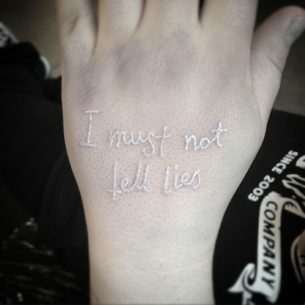 Lindsey Lohan and Keith Moss were one of the first, who had tried new kind of ink on themselves. 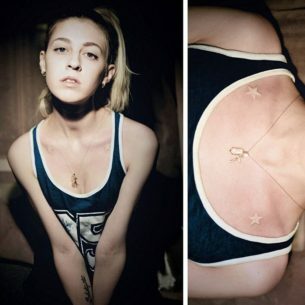 Lohan had made barely seen heart tattoos, and Moss’s wrist got decorated with a word “breath”. And immediately after this, fans of celebrities had followed their example. 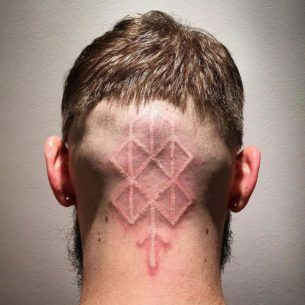 At first sight, such drawing can be confused with a scarification technique, however, these body marks look better, more elegant and the skin remains smooth and unharmed. 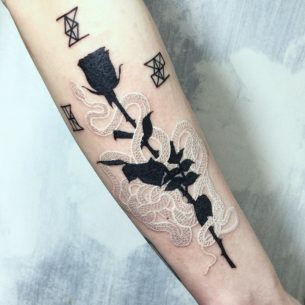 The important thing to know before making any decision is the fact, that surprisingly, white tattoo in looks better on light or pale skin. However, there are no restrictions for the dark or tanned skin to be covered with them. 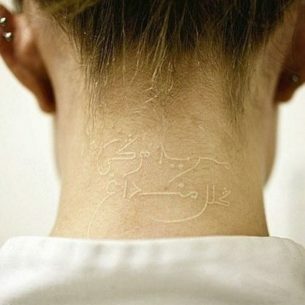 The only thing you really have to bother is whether your skin reacts well to this kind of ink and there is no allergy. 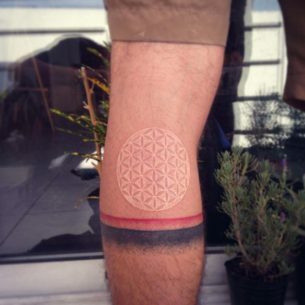 Before making a tattoo of some exotic drawing you have to think beforehand of several things. 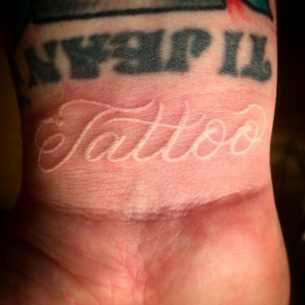 ✱ White ink is injected deeper into the skin than any other, so the tattooing process is more painful. ✱ In spite the ink lies deeper under the skin, the drawings made with them live not as long as black or colorful ones. Human skin is constantly refreshing its cells, so the white color will get some shades of yellow or even brown with time. 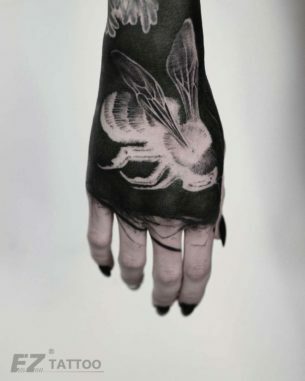 So, it takes much more care and constant frequent refreshing to keep the tattoo good-looking. ✱ It is better to choose designs with vivid edges, for example, ornaments consisting of thick lines and other easily defined objects like stars, hearts and flowers. 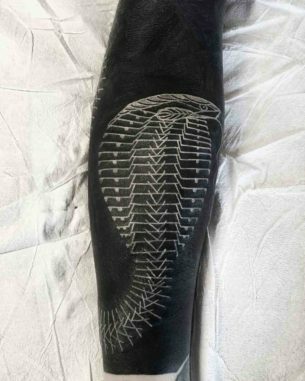 This will prevent your tattoo from becoming a shapeless stain on your skin. 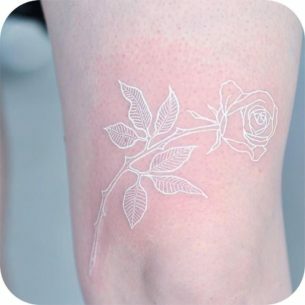 ✱ Not all tattoo artists know how to work with white ink, so it’s better to go to experienced professional. 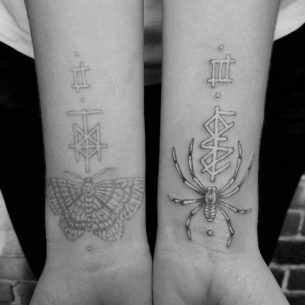 The tattooist has to define, how the drawing will look on your skin and whether you really need to have one. Remember, not every artist would take the job, a lot of them would suggest making a contrast drawing with black color or with to add to the design some red and olive inks. 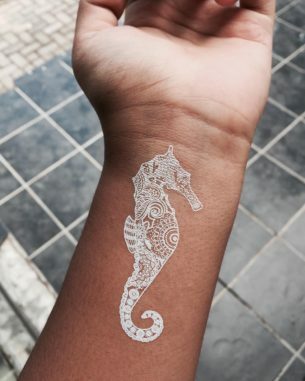 ✱ The allergy to white ink is a pretty common phenomenon. 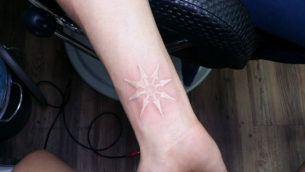 In this case, it is better not to take this step or you would get an ugly scar instead of a beautiful white tattoo. 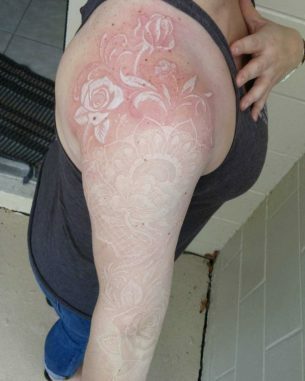 ✱ And finally, white tattoos cost a lot!